1. In a controversial move, the Oakland City Council voted to certify Measure AA, a parcel tax measure to pay for early childhood education, as having won in the November election despite the fact that it had failed to garner a two-thirds majority, reports David DeBolt of the East Bay Times$. The council now contends that Measure AA, which received 62 percent of the vote, only needed a simple majority to win, because of a 2017 court decision — even though the city attorney stated earlier that the measure needed 66.67 percent. The council plans to vote on the issue again on Friday, and opponents are expected to challenge the decision in court. 2. As expected, the Oakland Raiders announced that they’re pulling out of a proposed deal to play at the Oakland Coliseum next year and plan to find another locale for the 2019 season because the city of Oakland filed suit over the team’s scheduled move in 2020 to Las Vegas, the San Francisco Chronicle$ reports. However, it’s unclear where the Raiders will play next year — perhaps in Santa Clara at the 49ers stadium. 3. A large majority of Californians — 60 percent — say that Gov.-elect Gavin Newsom’s top priority should be to create universal health care in the state, reports Alexei Koseff of the Sacramento Bee$, citing a new survey from the Public Policy Institute of California. In addition, 53 percent said they want Newsom to eliminate community college tuition. 4. State water officials approved a plan to slash water deliveries to cities and agriculture in order to increase river flows and help save the Sacramento-San Joaquin River Delta, reports Bettina Boxall of the LA Times$. However, many environmental groups are criticizing the new plan because it leaves open the door for agreements that could severely undercut water flows in rivers and the delta. 5. Insurance claims from the 2018 wildfire season now total nearly $10 billion — and are expected to go up as claims are revised, reports John Woolfolk of the Mercury News$. 6. The California recreational abalone season will not open until at least 2021 in order to allow the depleted shellfish population to rebound, reports Tara Duggan of the San Francisco Chronicle$. 7. 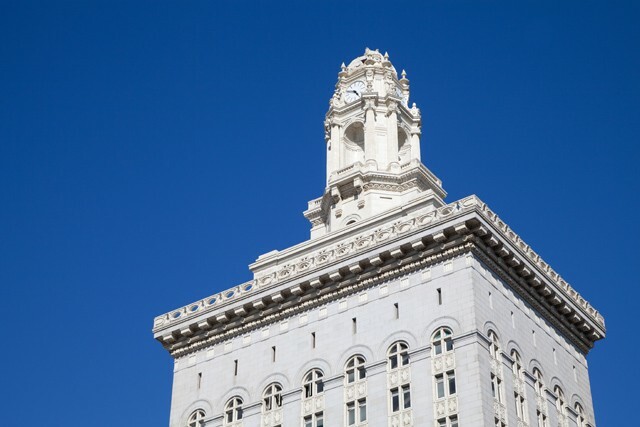 Oakland’s iconic Tribune Tower could change hands again — in a $48 million sale to investor Doug Abrams of Highbridge Equity, reports Blanca Torres of the San Francisco Business Times$. The current owner, Harvest Properties, bought the Tribune Tower in 2016 for $20.4 million and has been refurbishing it. 8. And Democratic House leader Nancy Pelosi struck a deal with moderate Democrats that will allow her to become the next House speaker, but only for four years, The New York Times$ reports.